Roger Federer, the third seed in the series, was finally able to have a quiet and pure training game so far in the US Open tournament, defeating 6-3, 6-3 and 7-5 to Spanish Feliciano Lopez, thirty-first favorite, and get the pass to the Round of 16. Federer, who is battling for his seventeenth US Open, and is looking for the sixth title of the championship, managed to be in the knockout round for the 16th time, and his opponent will be the German Philipp Kohlschreiber, another 33-year veteran, 37 in the world, who was easily beaten by 7-5, 6-2 and 6-4 to the Australian John Millman. The duel between Federer and Kohlschreiber will be the twelfth as professionals, with undefeated for the Swiss tennis player of 11-0, including the last duel that occurred in 2015 in Basel. Federer after having overcome for the first time in his career two consecutive Grand Slam matches that he decided in five sets against Lopez, another 35-year veteran, who has won in 13 contests (13-0) , showed his tennis more consistent and that was reflected not only in the final result but in the way he achieved the victory. Federer, in his best version of a great right blow, rest, serve safe and uploaded, only needed 25 minutes to get the first sleeve, to make the break he needed. The same happened in the second, in which he remained tied until the 3-3 part because in the seventh, again came the right blows, the setback and the impeccable rest of Federer to make the break and get the advantage that would be decisive. Of course, Lopez, 35 of the world, never gave up and in the eighth game he had a 15-40 advantage, but Federer’s three-pointers prevented him from reaching the break that he could not achieve. Its merit was that at least in the second sleeve extended it nine minutes more (34) than it lasted the first. 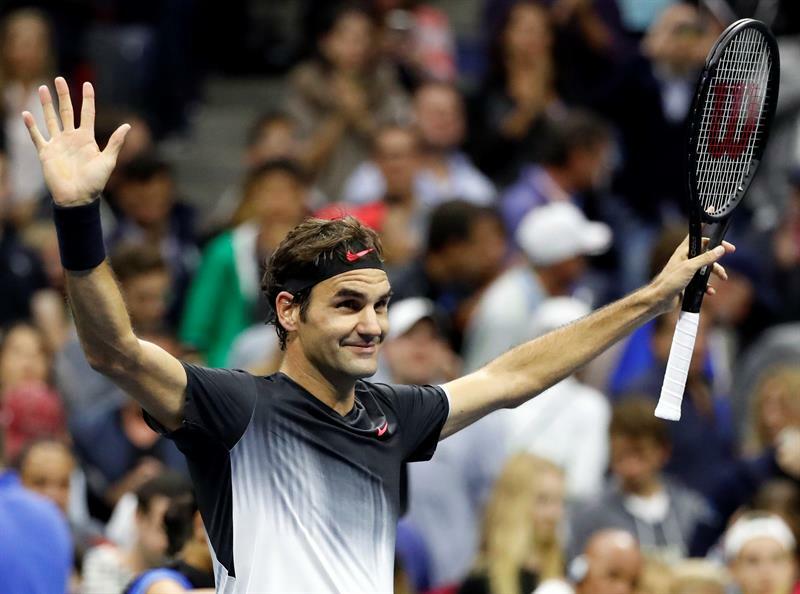 But luck was on, the night at Arthur Ashe’s center court in Flushing Meadows, he had the magic of Federer’s exquisite tennis again. Although he gave up his serve in the fifth game of the third round, he recovered immediately in the sixth and twelfth made the decisive break that assured him the most comfortable victory and more confidence in what goes of tournament. Federer needed an hour and 46 minutes to reach the victory after getting 13 aces and committing a double fault, compared to 9 and 3, respectively, of Lopez. The winner of 19 Grand Slam titles got 32 winning hits for only 16 unforced errors, which left him with 98 points earned. While Lopez placed 35 winning hits and committed 28 unforced errors to get 77 points gained at the end of the game. Before Federer’s triumph came the Spaniard Rafael Nadal, the first seed, who fulfilled the odds, but had to suffer and dedicate extra work before reaching the Round of 16 after defeating 6-7 ), 6-3, 6-1 and 6-4 to the Argentinean Leonardo Mayer. Nadal’s victory was the fourth (4-0) to get in the same clashes he has had with Mayer in the professional circuit, but the first since 2014, when they played in the third round of Roland Garros (6-2, 7- 5, 6-2). Nadal, 31, who fights for his thirteenth US Open and has won twice (2010, 2013), made it to the Round of 16 for the ninth time. Nadal’s next opponent will be the Ukrainian Alexandr Dolgopolov, 68 of the world, who beat 6-1, 6-0 and 6-4 to the Serbian Viktor Troicki, and with whom he has faced on eight previous occasions and dominates by 6-2 . Nadal and Federer, to continue winning, could face in the semifinals and the winner will not only fight for the title but also ensure the number one position in the world ranking. As expected, the match, also played at the Arthur Ashe central track of Flushing Meadows, was competitive and even while the current champion of Roland Garros allowed it and that was what made the uneasy duel in the end extended for three hours and 15 minutes. Juan Martín del Potro, twenty-four-seeded Argentine, showed his best tennis against the Spaniard Roberto Bautista, eleventh seed, who beat 6-3, 6-3 and 6-4 to get as well the pass to the round of 16. 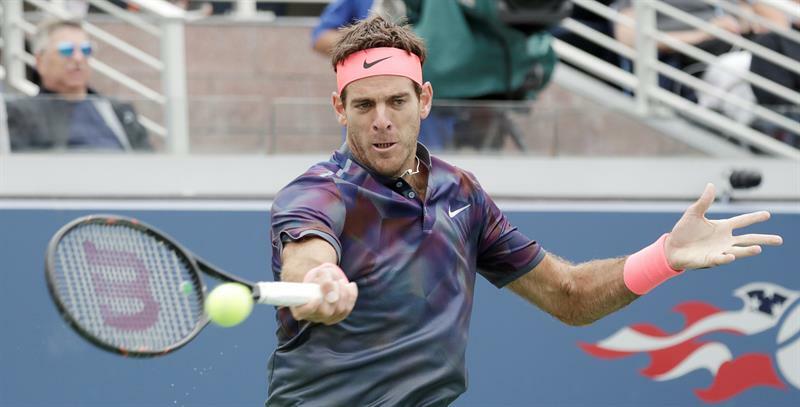 Del Potro, 28, and 28 in the world, imposed from the outset the pace of play with his serve and blows from the bottom of the track, without Bautista had a response to the unforced errors he committed. Thus, on the Grandstand track there was only one protagonist and that was del Potro, who in his ninth place in the United States Open, a tournament he won in 2009, managed for the fifth time to reach the fourth round. His rivals in the Round of 16 will be Dominic Thiem, sixth seed, who before the duel between Del Potro and Bautista had also qualified by beating easily 7-5, 6-3 and 6-4 to Frenchman Adrian Mannarino, thirtieth seed.